Most of the recipes that I found are for making tea cakes - which generally dry and dense. However, you can play around with the ingredients to get your desired texture. For moist cake, use oil instead of butter. You can even add more liquid (such as buttermilk, milk etc) for that. Fluffy textures requires cake flour and beating of the egg whites until soft peak and gently fold it in the cake batter. I also reduced the amount of lemon zest in the cake batter from the original recipe as I want my cake to have nice balance of lemon taste when combined with lemon curd and lemon cream cheese frosting. 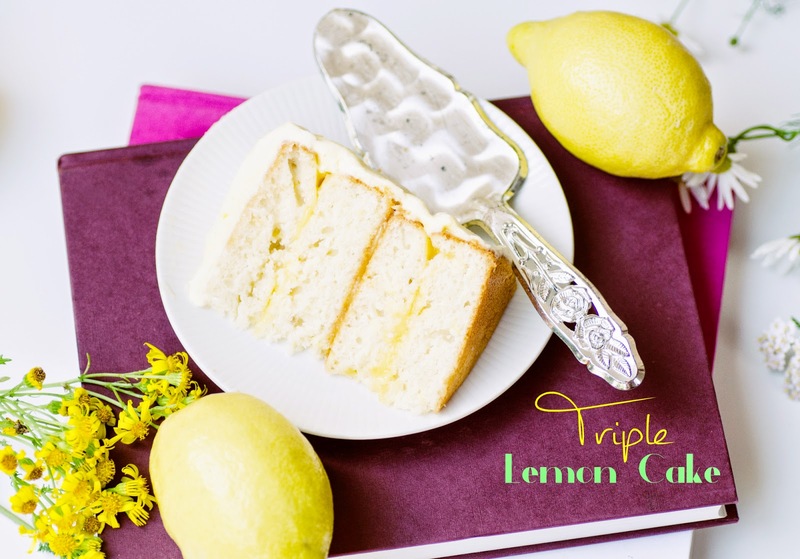 Nevertheless, I used approximately five lemons for making this triple lemon cake. 2. In a large bowl, cream the butter and sugar in the until light and fluffy add the lemon zest and mix. 3. Sift together the flour, baking powder, and baking soda in a bowl. In another bowl, combine lemon juice, and yogurt. Add the flour and yogurt mixtures alternately to the batter, beginning and ending with the dry ingredients. 4. Beat the white eggs in separate bowl until soft peak form. Gently fold in the egg whites with the cake batter using wooden spoon. 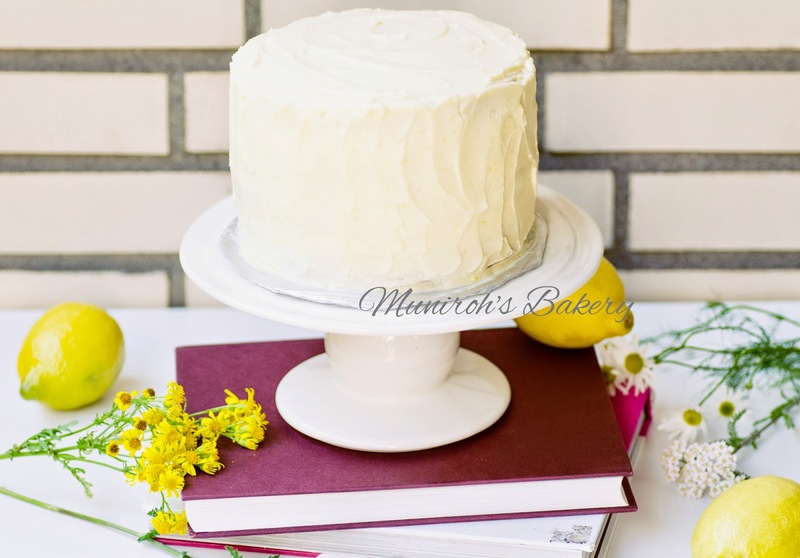 Divide the batter evenly between the pans, smooth the tops, and bake for 20 - 30 minutes, until a toothpick inserted in the cake comes out smooth. 1. Melt the butter in a pot over medium heat. Remove the pot from the heat and whisk in the sugar, lemon juice, zest, and salt. Whisk in the yolks until smooth. 2. Return the pot to medium-low heat and cook, whisking constantly, until the mixture thickens. To check if the curd is thick enough, dip a wooden spoon into it and draw a your finger across the the back of the spoon; your finger should leave a path. Don't let the mixture boil. 3. Immediately force the curd through a fine sieve into a bowl, using a wooden spoon. Let cool at room temperature, whisking occasionally. Refrigerate, covered, until ready to use. 1. Mix everything in a large bowl and mix until frosting smooth. p.s: Prayers to all passengers and crews on flight MH17. Hope the loves one for those on board stay strong.